10 Things (Some) People Do That Make Others Cringe - STOP!! It's easy to judge and it’s easier to get offended. We easily get annoyed with how people dress, their behavior, their attitude - and it often makes us wish that people would stop doing some things. If you are one of those non-judgmental, seeing-the-aesthetic-appeal-in everyone kind of people, super for you - the world should be much like you. But the majority opinion? There are a few things people should REALLY stop doing. 1. Dying your hair a (very) fake-blond color! Really, what's the obsession with dying your hair to make it look SO unnatural? If you really must dye your hair, there are so many other colors to choose from. The fake blonde doesn't make you look fashionable, if that is what you were trying to go in for! Is there some profound hidden philosophy behind? Sunglasses were made to shield your eyes from the sun, not the lights inside the room. If you think it makes you look cool, well, you ought to think again. There are some body-hugging clothes that just don't look nice. On the contrary, it makes you look like you are really uncomfortable. Even men sometimes wear pants so skin-tight that it looks like they’d have a hard time mounting their own two-wheelers. Just because something is "IN" doesn't necessarily mean it's a sensible choice. Nobody cares about what brands you can afford and love to buy. Seriously, no one is interested in knowing how much you might have spent on that pair of expensive jeans. So stop announcing it all the time! 5. Lying about having no makeup on! Especially when it's about taking a "morning selfie". It's so visible, one can spot the makeup from over a mile. You like your makeup, so what? Why bother lying about it? 6. Honking for no reason. Nobody - literally nobody - likes being stuck in a traffic jam. Your incessant honking isn’t going to magically ease the jam up! Line cutters just need to learn some manners, please! Everyone is waiting, why can’t you wait? And if you're late for something and don't have the time to stand in a line, wake up early. It's as simple as that. 9. Talking in a “baby” voice to your partner…in PUBLIC!! Might seem very cute to your partner, but it doesn’t sound as adorable to the people who can hear you! If you must, please do it when no one but your partner can hear? I see a lot of people talk to people like waiters, bus conductors, peons, chai-wallahs as though they were beneath them. They are as human as you are and they deserve to be treated with respect. Please remember this always. GIFs: Giphy HAVE A STORY IDEA FOR POPxo? If you want to hear about it, we can write about it! Just tell us your idea here! 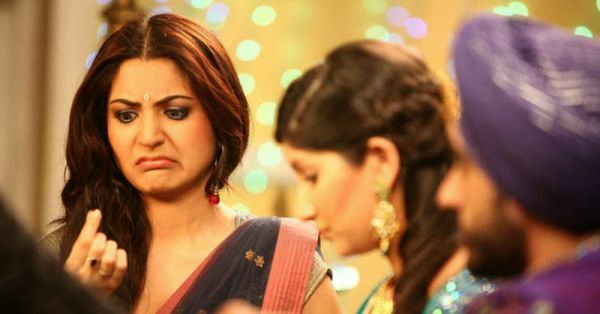 MUST-READ: 7 Things No Girl Should Feel Embarrassed About! MUST-READ: 12 Things You’ll Totally Get If You’re… Super Impatient! !